I have developed a circuit to process the PMT pulse output, For the testing, I need an artificial signal which is similar to the PMT pulse.How can i use the AnalogWrite() to create such type of signal. 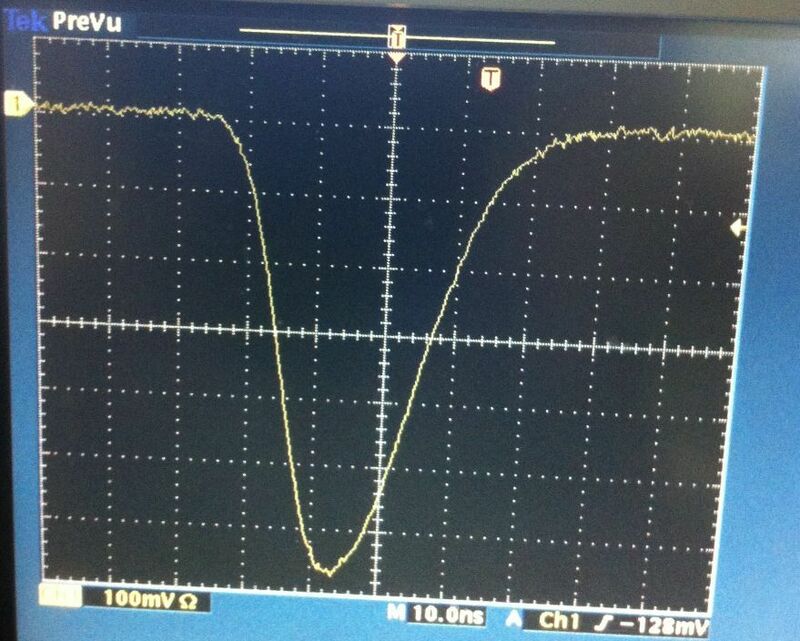 The Arduino can't do analog output at all, much less matching a specific analog waveform of ≈40ns duration. PWM on the Arduino simulates constant analog voltages using square wave pulses of variable duty cycle. It has no support for creating analog waveforms of any type, much less ones with such a short duration. You could use a resistor ladder to create a roll-your-own DAC, and then use direct port register manipulation (not digitalWrite) to set the pins controlling your resistor ladder and get a crude approximation of your waveform.